An insight on Egyptian spending schemes and consumer behavior to help investors and entrepreneurs create their business models. Credit Suisse Group made a habit of releasing a report on spending schemes and consumer behaviors in emerging markets of the world – mostly including Egypt as a portrayed country. 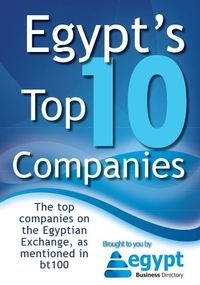 With a GDP of $248.6 billion and 70% consumption, Egypt was one of the eight surveyed countries by Credit Suisse. According to the company’s study, the household financial position looks worse than it did last year, although people have become more optimistic. It also notes that the middle and low class citizens have seen an improvement from the negative perceptions last year, whereas the rich have only seen declines, “having arguably been the greater beneficiaries of the old regime”. 1. 48% of their household income on food. 2. 13% of their household income on housing and public utilities. 3. 11% of their household income on education. 4. 8% of their household income on mobile phones. 5. 8% of their household income on healthcare. 6. 7% of their household income on household and personal goods. 7. 6% of their household income on entertainment. 8. 4% of their household income on savings. 9. 2% of their household income on autos. So yes, Egyptians are a “population of food”. This high percentage on food spending could have two reasons: Firstly, that the Egyptians are a very hungry lot, or secondly, that food prices have surged so high while minimum wages remained unchanged, so the people had no other choice but to spend their income on food. Either way, the insight on Egyptian consumer habits and behaviors is essential for any startup or investment initiative in the country. Choose your business ideas wisely.